Strasbourg: Capital of the EU and "The Future of Europe"
A quarter of the Strasbourg's public school students choose the halal menu in school cafeterias. In October, from Strasbourg, the European Court of Human Rights upheld the shameful conviction of an Austrian woman for what the court called an "abusive attack on the Prophet of Islam" -- just like that, in a stroke, accepting and legitimizing Islam's blasphemy laws. It was, as one news analyst, born in Iran, took note, "the day free speech died in Europe." "Strasbourg," according to the city's official website, "embodies the fundamental values ​​of Europe". But if the current trend continues, these values will be the opposite of those, such as freedom of expression, on which Europe was founded. "New York, Geneva and Strasbourg are the only cities in the world which are home to international institutions without being national capitals", an official page of the French city proudly proclaims. "The choice of Strasbourg as the European capital following the Second World War is no accident. The city stands as a shining symbol of reconciliation between peoples and of the future of Europe". Last December, however, Strasbourg was shocked by a new terrorist attack. Cherif Chekatt, shouting "Allahu Akbar", murdered five people, before being neutralized in a two-day manhunt. Among Chekatt's victims were Italian, Polish and French citizens. Unfortunately, Strasbourg has become one of Europe's hotbeds of jihadism, an ideology seemingly aimed at destroying Europe's people, not conciliating with them. The weekly Valeurs Actuelles called Strasbourg a "French bastion of jihadism". Seven men from Strasbourg, who went to Syria between December 2013 and April 2014, have already been sentenced to prison terms ranging from six to nine years. The heaviest sentence was handed to Karim Mohamed-Aggad, the brother of the Bataclan Theater suicide bomber Foued Mohamed-Aggad. The weekly L'Obs called Strasbourg "land of jihad". "Strasbourg is one of those leading cities of what could be called 'jihadogenic urban areas', such as the suburbs of Paris, Toulouse, Nice or Lyon in the past... Strasbourg is at the crossroads of Europe, all you have to do is cross the Rhine to be in Germany and you are not very far from Switzerland." "In many quarters we encounter a general impression of weariness and aging, of a Europe which is now a 'grandmother', no longer fertile and vibrant. As a result, the great ideas which once inspired Europe seem to have lost their attraction, only to be replaced by the bureaucratic technicalities of its institutions." "Muslim believers know very well that their fertility is such that today, what do they call it?... the Great Replacement; they tell you in a very calm, very positive way, 'but anyway, one day all this will be ours...'"
Strasbourg not only hosts one of the two wings of the European Parliament. 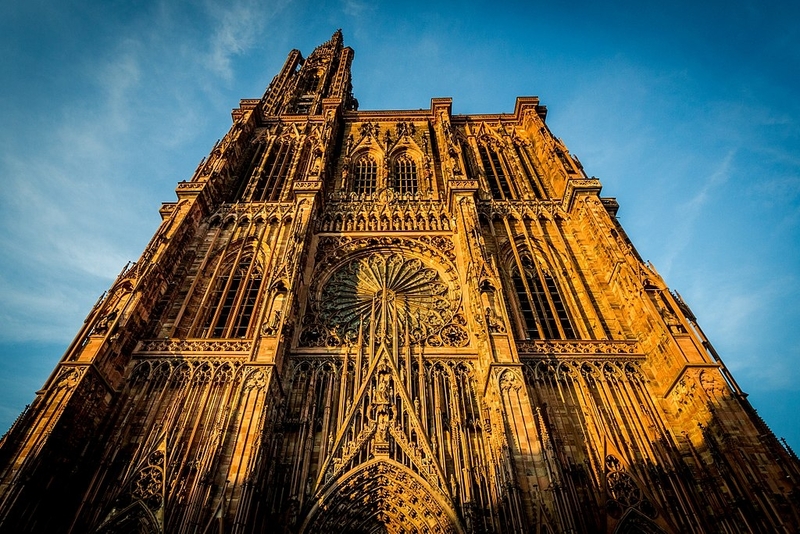 The city is known for one of Europe's most famous Christian sites, the Cathedral of Our Lady of Strasbourg, which has been called a "Gothic masterpiece". The writer Victor Hugo called it a "gigantic and delicate marvel". Its construction began in 1015. Robert Schuman, the French statesman and one of the founding fathers of what would become the European Union, thought about the project of a European Union meditating inside that cathedral, "the highest church of Christendom". "France is a privileged target in the plan of global Islamization conceived of by various states and Islamic organizations", the Algerian novelist Boualem Sansal recently said. For years, Strasbourg has been a magnet for political Islam. There is not only the Great Mosque designed by the Italian architect Paolo Portoghesi, which, as Le Monde reported, has been financed by Morocco, Saudi Arabia and Kuwait, the last two countries known for financing and spreading radical Islam in Europe. In 2012, then Minister of Interior Manuel Valls attended the inauguration of the Great Mosque, which also received funds from the municipal and regional governments. The Moroccan imam Abdellah Boussof called it "an Alsatian mosque with a European vocation". The city councilors of Strasbourg recently granted another building permit for a new mega-mosque paid for by Turks and less than two kilometers from the Great Mosque. The building will be one of the largest mosques in Europe. The groundbreaking ceremony for what is being called the "Great Turkish Mosque", with two 36-meter-tall minarets, was attended by Turkish government officials, including the Deputy Prime Minister. In a new report, Foreign Policy dubbed it "mosque diplomacy". French authorities have facilitated the construction of not one, but two Great Mosques in Strasbourg. The first Muslim public cemetery in France was also opened in Strasbourg; and a French-Turkish campus is being built in Strasbourg's outskirts, including a high school and a faculty for training imams. Fully funded by Ankara, it is "the most ambitious project ever for France's Muslim community of Turkish origins". "The scale and ambition of the project have taken everyone by surprise", the daily Libération reported. The purpose of the high school is apparently to offer a curriculum based on the Turkish one. Saban Kiper, a local Turkish leader, did not hide the goal: "The high school will be a pole of excellence and influence for Islam in France and Europe". Speaking of influence, it is from Strasbourg that the Turkish government has launched the Equality and Justice Party, which is part of the network wanted by Turkish President Recep Tayyip Erdogan to influence Europe through its Muslim population. Erdogan held an election rally in Strasbourg in 2015, and the crowd chanted "Allahu Akbar". Strasbourg has been called "the AKP's laboratory", the initials of the Erdogan's ruling Justice and Development Party. Contravening the famous French principle of secularism, the city of Strasbourg, led by the socialist mayor Roland Ries, offered four different menus in the school cafeterias. A quarter of the Strasbourg's public school students choose the halal Islamic menu. Schools, mosques, cemeteries, political parties: Strasbourg appears to have been chosen as the French laboratory of the Islamic secession in the heart of Europe. Political Islam is nurtured by this "separation", as the French philosopher Alain Finkielkraut recently noted. "France," he said, "is falling apart and, faced with the strength of numbers, there are no recipes to reduce the fracture". "Strasbourg," according to the city's official website, "embodies the fundamental values ​​of Europe". This is true. Strasbourg has been the cradle of Christian humanism and the site of the French-German reconciliation after 1945. In the future, Strasbourg will continue to embody the "values of Europe". But if the current trend continues, these values will be the opposite of those, such as freedom of expression, on which Europe was founded. On October 25, 2018, in Strasbourg, the European Court of Human Rights (ECHR) upheld the shameful conviction of an Austrian woman, Elisabeth Sabaditsch-Wolff, for what the ECHR called an "abusive attack on the Prophet of Islam" -- just like that, in a stroke, accepting and legitimizing Islam's blasphemy laws. 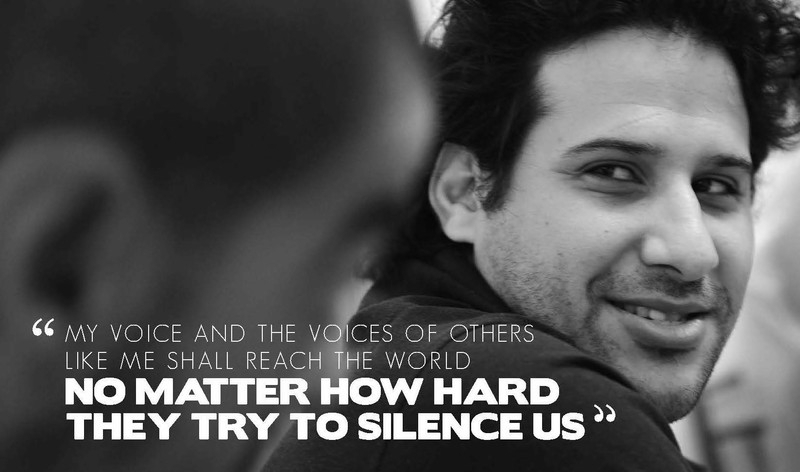 It was, as one news analyst, born in Iran, took note, "the day free speech died in Europe."